As our family enjoyed a meal around the table this week we were discussing that, yet again, most of the meal had come off of our own property. Roast chicken (meat and herbs we raised, butter we churned from raw milk we buy a share of), creamy cashew green beans (purple bush beans from our garden), brown sugar carrots (carrots from our garden), garlic potatoes (potatoes and part of the seasoning from our garden), and cheesy zucchini (zucchini from our garden). Then the conversation turned to “How long has it been since we bought…. ?” and we were very pleasantly surprised by the results. How long has it been since we bought _______ because we provide enough of it from our own homestead? Red Meat – 17 years! Yup, 17 years. Mtn Man has provided all our red meat through hunting elk and deer for the last 17 years. And last year Young Man joined in and is now also providing red meat for the family through hunting. 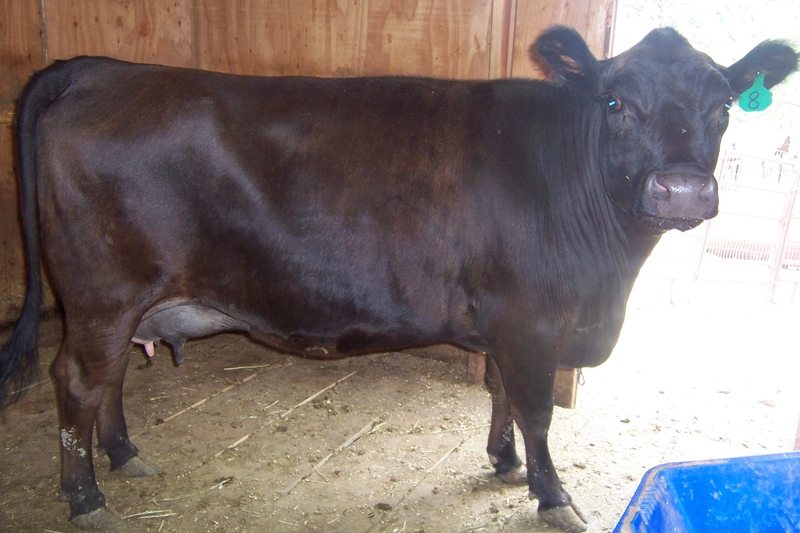 Plus, we raised two calves for beef when we also had a dairy cow. Eggs – 3 1/2 years! And really it has been 7 1/2 years, with a 1 year break in the middle when we moved. So 3 years of no egg buying, then a year of buying, then another 3 1/2 years of no buying. Green Beans – 7 years! I was able to store up enough for the year we took off of gardening during the move. Carrots – 7 years! Same as the beans. Stewed Tomatoes – 2 years! We have grown enough tomatoes in the last couple years for me to can enough stewed tomatoes for all our chilis, soups, and stews over the winters. Some Herbs – 2 years! We have grown and dried all of the basil, parsley, mint, thyme, oregano, rosemary, and sage that we have used. And….what do we only buy a small percentage of and raise the rest…? Chicken – 90% of our white meat needs have been met by our home-raised chicken and rabbits for the last 3 years. And about 50% of our white meat needs were provided by just the rabbits in the 4 years prior to that. We do still buy a couple of turkeys a year but hope to someday raise them too. Salad Greens – for about 4 months out of the year we (6 of us) eat salad at least 5 times a week and it all comes from the garden. During the rest of the year we buy salad greens, but we eat them a lot less often. What a very satisfying conversation. We hadn’t thought about some of those things and it was really fun as we all listed them off and realized what we are able to provide for ourselves. We are nowhere near self-sufficient, but it is nice to know we are providing as much food as we do. And the fact that we are a family of 7 just adds to it because that is a lot of mouths to feed. And the struggle that our climate and terrain gives us is another challenge that makes it even more satisfying. It feels really good! I know a lot of my blog readers are also homesteading, some on a smaller or larger scale than we are. What have you not bought and for how long? Please share in the comments! We bought our first livestock – a breeding trio of meat rabbits – 8 years ago. Since then we have bought more rabbits, as well as cattle, sheep, and chickens. There are many things we considered when choosing who to buy our livestock from. Obviously we were looking for good, healthy stock. But there was one thing we worked hard to do each time we purchased livestock, and it paid off ten-fold for us: buying from breeders willing to have a continued business relationship with us. When it is your first time with a type of livestock, having a breeder that is willing to answer your questions and help you get the hang of it is such a huge help. Great breeders care about their stock. They have worked long and hard to create the line that they have and they want you to be successful with their stock because that helps their success as well. Because of this, most great breeders are willing to answer questions (whether it is via phone or email) and give you tips on how best to manage as you get started. They can help you learn the best schedules for vaccinating and worming, tips on housing and feed, help you get through the first birth, give advice on breeding (when and to which male), and what to do when something unexpected happens. It is absolutely worth it to select a great breeder that is willing to answer your questions long-term over one that might be more popular, or have more prize-winning stock but doesn’t want to help you once you drive away. We also feel it is worth it to pay more for stock from a great breeder willing to have a continued relationship with us versus paying less but not getting that relationship. Whether it is your first time with a type of livestock, or you have owned them for years, having access to resources through your breeder is super beneficial. Most little backyard homesteads like ours don’t have the space or resources to keep breeding males. A bull, ram, buck, or boar means higher levels of management, more space needed, and often more danger for a little farm. 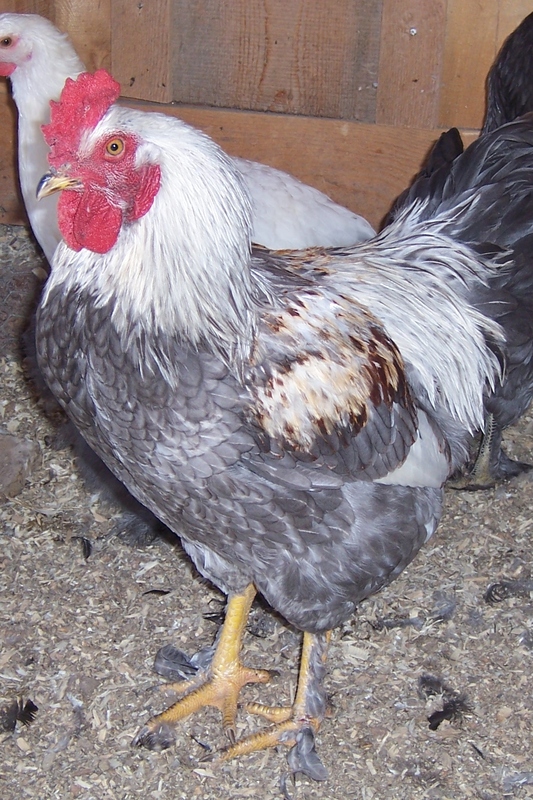 By having a good continuing relationship with the breeder, you can often have access to their breeding males. You will of course still have a stud fee, but it will be less hassle, there will be a level of trust when leaving your females since the breeder cares about your stock too, and you will more clearly know what you are getting from their stock because of your familiarity with them. You also might have access to other resources through them: feed suppliers, suppliers of tools and such needed for that livestock, vet services, other breeders and their bloodlines, etc. An example would be that we have been blessed by our relationship with the breeder we bought our sheep from because we have access to shearing services that we wouldn’t have otherwise. If you are in the market to buy some livestock we absolutely suggest that you don’t just look at the animals when making your decision – look at the owner/breeder too, and make sure they are willing to continue the business relationship with you. It is time for the end of year review again! It has been a great year, full of successes, failures, and plenty of learning and adventure. It was great to look back at the last year at the homestead. The chicken program has done excellently this year. Gotta love the livestock that more than earns its keep! In January we had several deaths in the rabbitry that took us back to square one as far as building our meat rabbit herd. So we decided to stop with meat rabbits for the time being and get back into them sometime in the future. 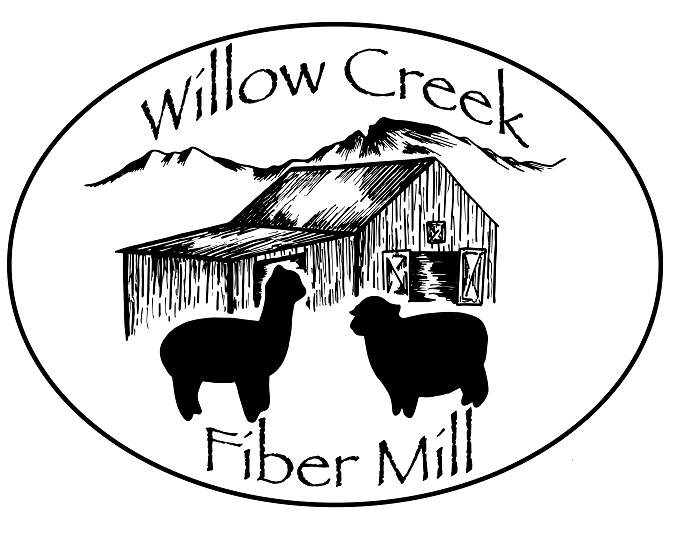 In June we added Oliver, an English Angora, to the farm as both a pet and a fiber producing animal. He has had 3 shearings this year that produced 2 ounces of use-able fiber. A lot of fiber was lost to us learning how to properly manage and shear his coat. We sold our milk cow in January. The sheep produced 4 fleece for us this year, 2 of which were first fleece and 2 adult fleece, for a total of 24 lbs of raw wool. We also got 1 sheep hide from our ram lamb. We butchered our first ever ram lamb (purchased as a weanling, not born on the farm). We got 30 lbs of meat, 4 lbs of soup bones, 4 lbs of dog food, and 7 lbs of fat to render. The gardens did very well this year, producing about 150 lbs of produce for us. For the specific garden statistics, read our garden review posts here, here, and here. With the help of all the animals we continue to produce large amounts of very rich compost for use on our garden. We have also had enough to share with friends. I knit 1 infinity scarf, 1 cowl, 3 scarves, 1 hat, 4 pairs of socks, 1 pair of mittens, 2 ear-warmer headbands, 1 sweater, 1 cell phone case, 1 skirt, and 2 neck/face warmers. 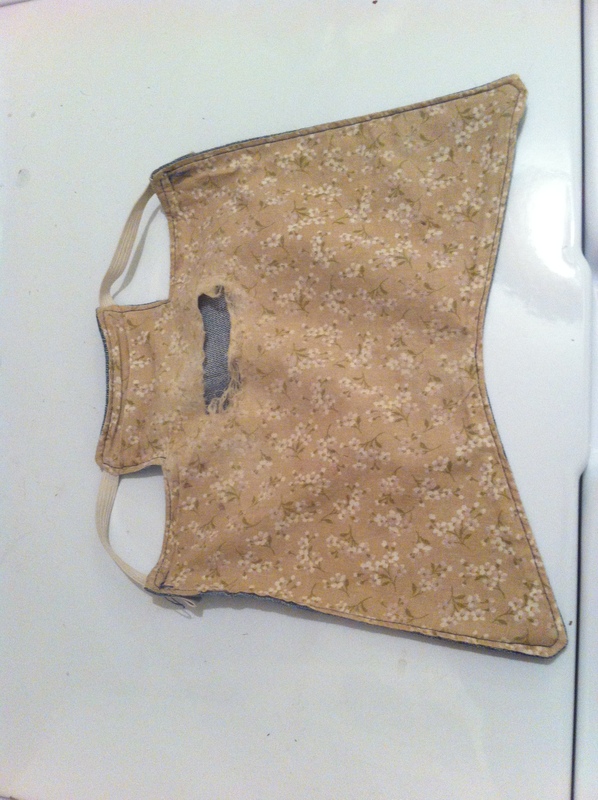 I sewed numerous cloth napkins for our family use, 1 gathering apron, 2 summer dresses for daughters, 6 pairs of kids’ flannel pajama pants, 4 pairs kids pajama shorts, 2 nightgowns, 1 pair of adult flannel pajama pants, numerous hen jackets, 15 napkins and 5 placemats for a gift with 3 coordinating quilted hot pads, and 1 single-sized quilt. Plus tons of mending, mostly patching jeans. I took a class in needle tatting and made one heart bookmark using that method. I spun 145.5 yards of worsted weight 2-ply merino/angora yarn, a small amount of single-ply Lincoln Longwool, and I am about half-way through spinning 4 ounces of hand-dyed superfine merino. We canned the equivalent of 172 quarts of food this year (some were pints, some half-pints, etc but we added it up to how many quarts of food it was). They included: whole peaches in honey syrup, peach jam, salsa, sliced dill pickles, dill spears, sweet spears, mixed berry jam, blueberry pie filling, plum jelly, crabapple jelly, apples in honey syrup, strawberry jam, cherry jelly, chicken stock, turkey stock, beef stock, and lamb stock. We also froze 30 lbs (72 cups) of carrots and 30 lbs (77 cups) of green beans from the garden. In January our life was dominated by the huge kitchen remodel project. On the farm we had our first incubation of the year and had our first-ever broody hen successfully set and hatch eggs for us. I learned how to knit socks two-at-a-time on 2 circular needles. And we made the difficult decisions to end our rabbitry for the time being as well as sell our JLow milk cow, Violet. February brought record-breaking cold weather. On one of our last days with our milk cow in early February the milk froze on the side of the pail. We butchered our beef calf, continued with the kitchen remodel, and collected eggs for our 2nd incubation. I focused on knitting and spinning quite a bit. March added two new sheep to the farm; weanling lambs Daphne and Duncan. We did all our garden planning and the second incubation of the year hatched. Our second broody hen, Eve, began setting her first hatch. In April we began work on building the last garden terrace and we started many seeds indoors. 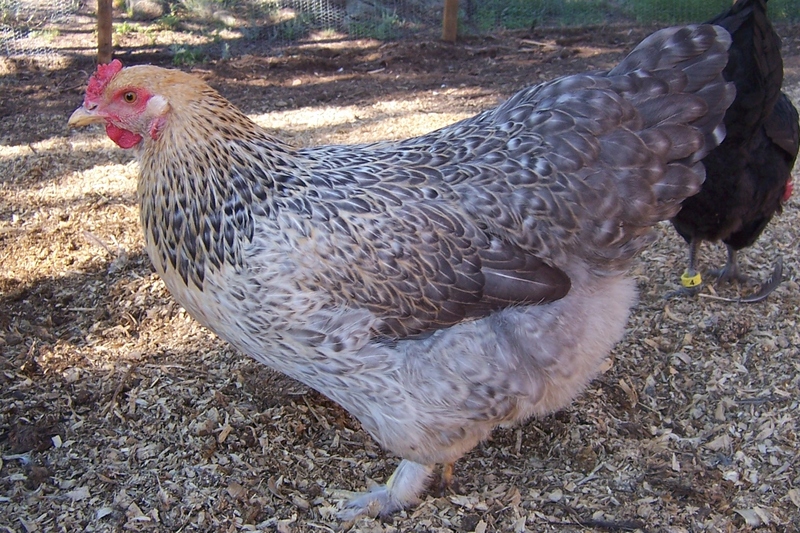 Eve hatched her first brood of chicks and we incubated our largest incubation ever and sold all the chicks to a friend. We also remodeled my little craft room. In May we celebrated our second year anniversary on the farm. We installed our garden drip system and planted six berry bushes. 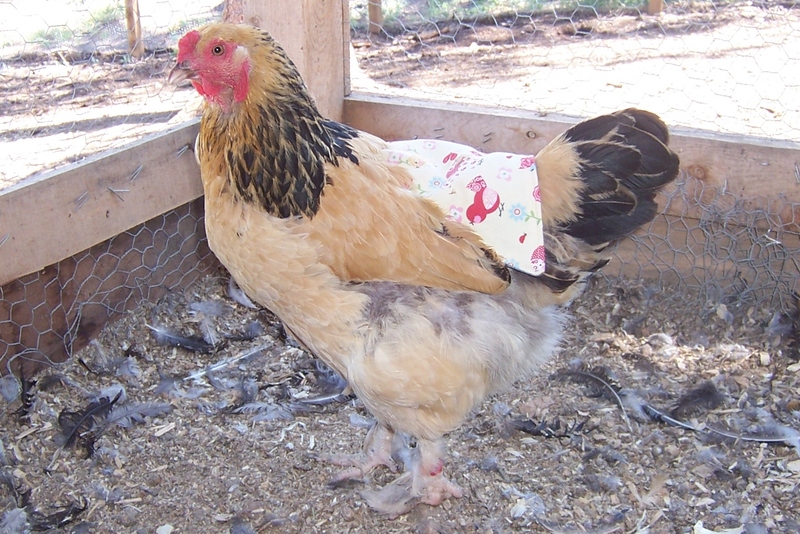 I resorted to putting clothing on livestock when I figured out the pattern for chicken jackets and used them to protect my hens’ backs from the rooster’s claws. We had a deep wet spring snow mid-month that stopped our spring productivity for several days. Banana hatched her second brood of chicks for the year, and Ruth began setting for the first time. We moved seedlings out into the garden in wall-o-waters for protection. Lastly, I tried my hand at making my own body products. June was a full month! We battled aphids and flea beetles in the garden. We made the hard decision to butcher our favorite roo, Boaz, since his foot injury (frostbite from the winter) made it so he couldn’t successfully breed anymore. We added Oliver, our English Angora rabbit, to the farm. Our ewe lamb, Daphne, gave us a big scare when she had an anyphalactic reaction to a vaccine, but thankfully she survived it with an epinephrine shot. Mid-month we had a terrible hail storm that caused a lot of damage in the gardens. We installed more permanent fencing around the barnyard and expanded its size. At the end of the month Ruth hatched her first clutch of the year and Eve hatched her second. That ended the hatching season for our breeding program. In July we did Oliver’s first shearing. 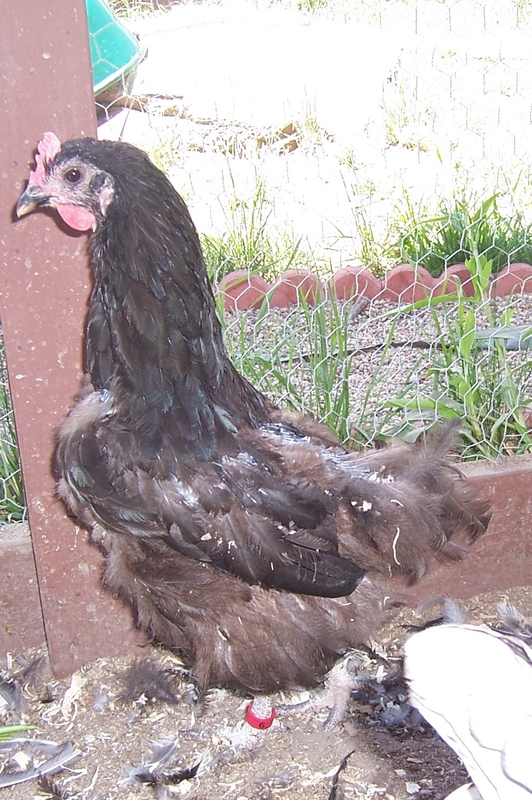 Eve and Ruth were the first hens to share our “Mama Hen Pen” and raise their chicks together. We enjoyed harvesting strawberries, peas, and greens from the gardens. Our farm dog, Tundra, struggled with flies eating his ear and we tried everything possible to stop them and heal the wound. We also started our canning season with cucumbers made into pickles in July. August was spent harvesting, canning, harvesting, canning, and more harvesting and canning. It was a wonderfully productive month of “puttin’ up.” We also agreed to run an incubation to sell chicks again for someone. Lastly, I started knitting my first-ever sweater. In September we finished the last incubation of the year and sold all the chicks right after hatch. We continued harvesting and canning. We were very sad at the loss of our barn cat, Mattie. The one-year anniversary of the flood and evacuation occurred and we were able to see the progress and acknowledge the blessings that occurred despite the disaster. We butchered our first ever ram-lamb and enjoyed the meat it provided for our family. We took a break from technology in October and didn’t blog. During that month we finished up our canning and butchering season, filling the shelves and the freezer. We started work on all the home-made Christmas presents. And we added a new farm dog in-training to the farm – our Old-Time Scotch Collie pup, Finley. In November we took the sheep to the breeder and left them there for 40 days with hopes for a spring full of lambs. We harvested the last of the greens out of our screened planting box that we had put frost fabric over. We had a bear attempt to get into our chicken coops 5 different times – thankfully he was unsuccessful and eventually went into hibernation. We continued work on homemade gifts for Christmas. And for Thanksgiving we had our first ever naturally raised turkey that we bought from a friend’s farm. December brought a lot of treat making, and more working on Christmas gifts. 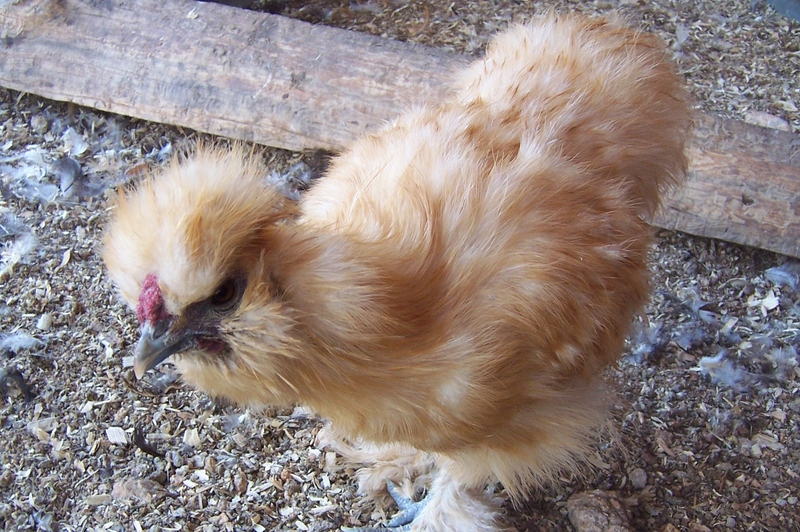 We had a big scare when our Silkie hen, Eve, almost drown in the new water trough. Thankfully, she survived. We were so excited for the opportunity to have the sheep ultra-sounded when we went to pick them up from the breeder. We found out that Stella and Fiona are both pregnant and Daphne is most likely as well. And even more exciting than the addition of lambs this spring is the addition of a new little someone to our family through adoption in 2015. It has been such an amazing year full of blessings and adventures – and we are so excited for all the blessings and adventures to come in 2015! We spent this week dealing with the tail-end of our illness, but we are much better now. Here is what is going on around the farm! This week we got a good deal on blueberries, so we canned pie filling. Yummy! We are hoping to get to salsa, more pickles, and stewed tomatoes this coming week. We ate our first few ever home-grown tomatoes! 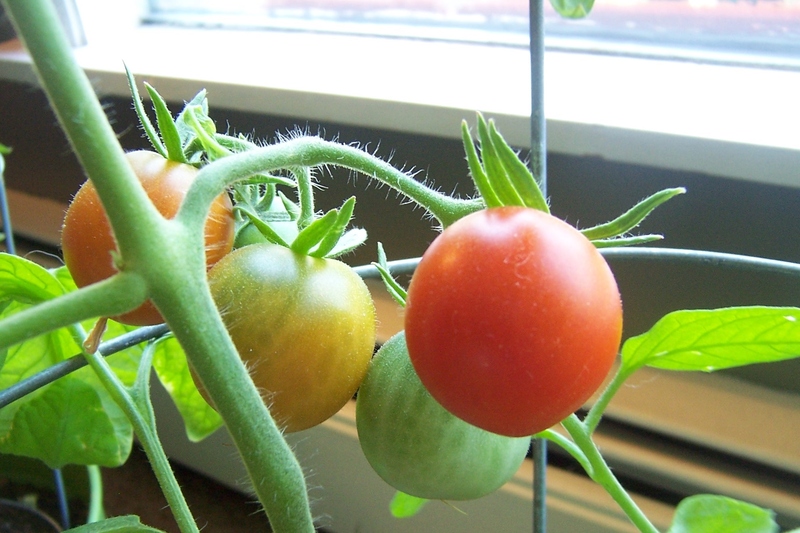 (at this location – we used to grow a lot of tomatoes when we lived in a little warmer climate). These are the ones grown inside, the outside ones have yet to ripen, but we are hopeful. I noticed that one of the hen’s jackets had a spot that was worn through. I am glad I put denim on the underside, and I am glad to see how much they are protecting the girls’ backs. Just think if the damage was on her back instead of on her jacket! I will patch this and then put it back into use. Daisy is molting. 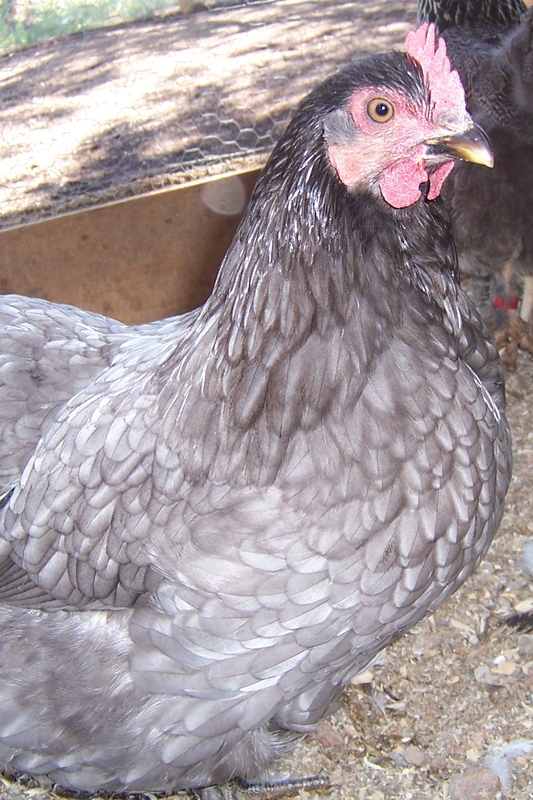 They look so awful when they molt, and she seems to be going through an especially ugly molt. The kids say she looks like someone tried to use a broken feather plucker on her. Poor girl. But she is going to look great when it comes back in! 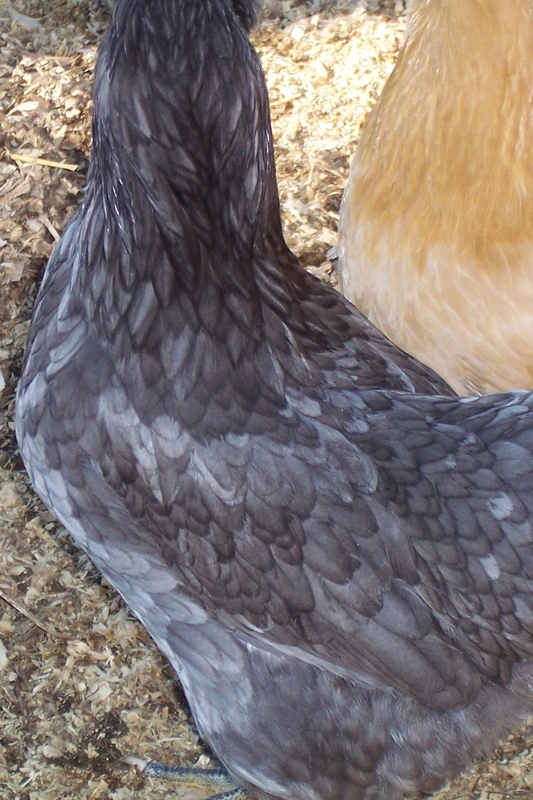 We have some particularly beautiful pullets and cockerels from this year’s breeding season. I finally got some time to take photos of them. They are coming into adulthood and look excellent. I love the colors and patterns of their feathers. 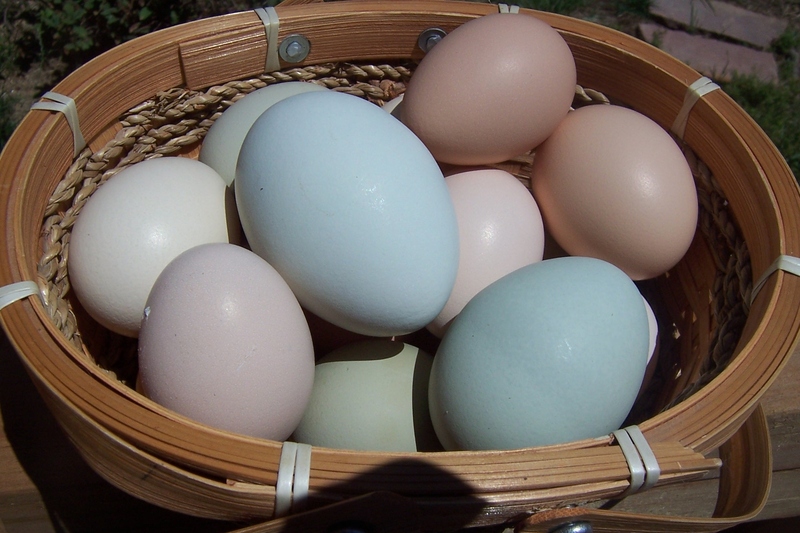 The pullets are all coming of age and we are now getting more and more eggs each day! They are such a great variety of blues, greens, creams, and browns. No, we do not have a cow on the property at this point. However, the people who bought Violet from us called so we could come and see the calf she had since we were the ones who bred her. If you remember, Violet is a JLow (mini jersey x lowline angus cross). She is completely black. 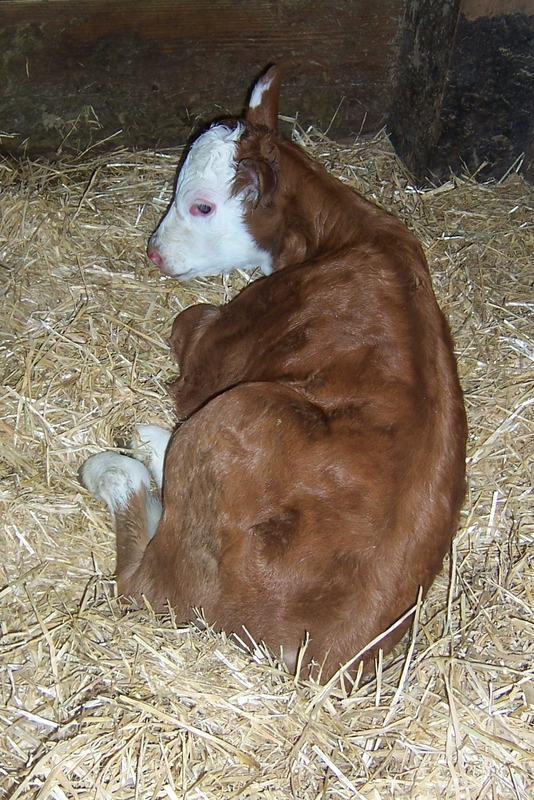 We bred her to a mini Hereford, which are the breed that are orange with white faces. We fully expected the black genetics to cover the orange, though we knew that the white face genetics are strong. So we were all expecting a completely black calf, or a black with white face. We were surprised to see that the heifer calf looked just like her sire! Violet did excellent with the delivery and has been a great mama, doting on her little baby girl. It was really fun to get to see this baby even though we don’t own Violet anymore! Another great week on the homestead! ‘Tis the season for flies on the farm. Lots of them. But here at Willow Creek Farm we don’t have even a quarter as many as we did a few years ago. There are several things we have done over the last two years that in combination with each other have really helped with the fly issues: fly predators, chickens free-ranging in the barnyard, sticky fly strips, and encouraging local birds that eat insects. Fly predators are little harmless bugs that love to eat fly larvae. You order them like a subscription and they send you a certain number of packages (based on a description of your farm) each month during the months in your area when flies are active. When the package arrives it is full of the “cocoons” (for lack of a better term) of the fly predators. Within a few days they begin to hatch, and once you see some hatching you take the package and either dump them out, or just open the package and leave it sitting open in areas of the farm where the flies are the worst. We would put an open package in the barn near the cow stall, and we would dump the other package outside on the manure/compost heap. This was before we had the chickens free-ranging in the barnyard. We wouldn’t dump them there after the chickens were there because they would happily eat all the fly predators in their cocoons and all. We did two full spring/summer seasons of fly predators and saw a large decline in our fly issues. This year we decided to try a year without them since we had some other things in place and we were wondering if we have an established population of fly predators now. So far this year has been great, we have much less flies than other farms we have visited in the area. We will probably do the fly predators every other year, or every two years from now on to keep it under control. Our chickens free range in the barnyard and have access to the sheep stall as well. It is well-known that flies like animal waste, and the barnyard and sheep stall are where all the animal waste is located. We also have the manure/compost pile located inside the barnyard. The chickens go around scratching through the pile and around the yard and the stall and eat the flies (when they can catch them), but more importantly they eat the eggs and the fly larvae so they can’t turn into more flies. Having them free range on the manure/compost pile, the barnyard, and the stall has made a big improvement on the fly issue. We have tried every fly trap on the market, as well as recommended homemade ones. The ones we have found that by far work the best, are the most low-maintenance, and are safe for the environment and farm animals are the long sticky strips. We put them all over in the barn. We probably have 10-20 hanging in the barn during the worst of the season (the barn is about 600 sqr. ft). We hang them where no animals can reach them, including the barn cats up in the hay lofts. And we switch them out with new ones when they get full. They occasionally catch a wasp, but about 99.9% of what is on them is just flies. And it seems once a few flies are on there the rest of the flies flock to it like crazy. They are an inexpensive and safe way to catch flies. The first year we moved in my husband noticed that we had a few Violet-Green Swallows nesting in some holes in an old tree in the backyard. In the evenings and mornings we saw them swooping around catching flies and other bugs. They would go back and forth to their babies about 100 times in an hour. It was amazing to watch. And it occurred to us that they were eating thousands of flies each summer as they lived and raised their young on our property. So we purposefully built nest boxes to the size and specifications they like, as well as nest boxes for some other insect-eating birds that are native to our area and put them up all over the property during the winter in preparation for their arrival in the spring. The next year we had twice as many birds move in, and then this year we have even more. Right now we have about 9 active nests of Violet-Green Swallows in our boxes as well as in some trees. We also have nests of Nuthatches, Wrens, and Chickadees, which aren’t as helpful with flies but do eat some insects. We watch the swallows zooming around catching bugs for their babies all day long. They have become a wonderful asset to the farm. This winter we plan to make even more nest boxes and put them up on the trees around the barnyard and even on the exterior barn wall with hopes we can encourage even more of these helpful critters. The one downfall of encouraging these birds is that occasionally one of our barn cats manages to catch one. It is such a bummer when they do and it upsets us all. Unfortunately, there is no way to control what the barn cats catch and they catch hundreds of detrimental rodents on the farm each year so it is just something that we have to accept. By using our chickens, local insect-eating birds, sticky fly strips, and fly predators we have been able to keep the flies down to a minimum on our farm, which makes everyone – human and animal – happier. Now, if we could figure out a sure-fire way to keep the few flies we do have from eating the farm dog’s ear we would be in good shape!